Luandre. This is a temporary page on your website, (We used a custom page - you get 100 custom pages) . We also activated under Addons the forms and surveys. Please provide feedback once you have gone trough this training and done the exercises 1-3. Whaaaaat!!!! Manage my own website! Before freaking out please note that we provide ongoing support and that included in your monthly hosting fee of R150 per month are 1-3 free changes. If more assistance is needed we will quote before the work is undertaken. If your agents Melanie or Francois cannot assist there is also assistance from the Kwikwap Head Office by emailing technical@kwikwap.co.za. Please provide them with your username and an as detailed as possible description of your problem. Support is provided during normal South African working hours. 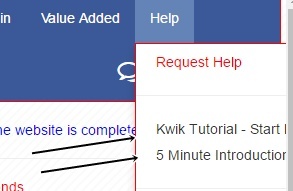 Please always include us in your emails when dealing with technical@kwikwap.co.za . Although we train you on the content management system we often will rather do the more complex, difficult or once off things for you like adding a Facebook Like box or embedding a Youtube video or Widget to your website. 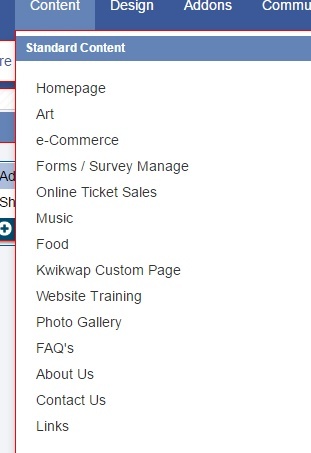 This section focuses on how Kwikwap clients can manage the content of their websites. 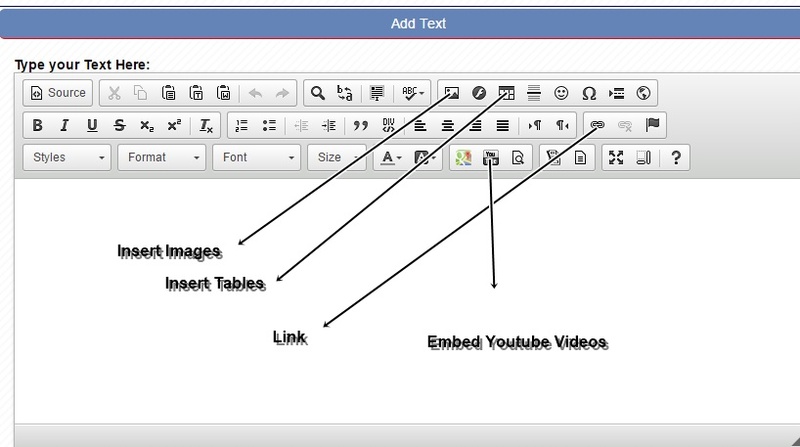 Google Chrome or Mozilla Firefox is preferred browsers while working on your website using the Kwikwap Website Builder. Also make sure you have a fair internet connection before working on your website as a slow internet connection might leave you feeling frustrated. To understand how you can market your website we recommend you visit our website marketing guide. We would have saved your initial design. Feel free to get to know the different divisions of your management portal by clicking around after logging in. You will notice that under the different divisions there are different sections. There is nothing that will go wrong or that you can break. Click around at will. Please click on the Tutorial and go trough it and also watch the introductory video listed there. When you click on content you will see the different pages on your website or the back of it where you can do your changes. 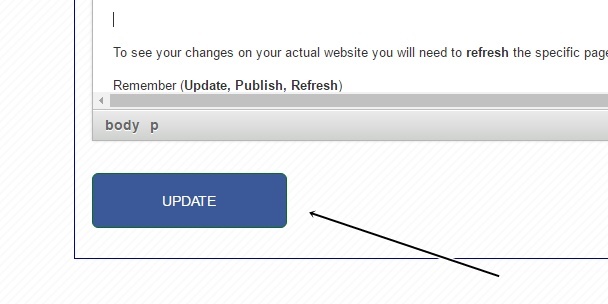 You will select your pages, do the changes and click on update when done. 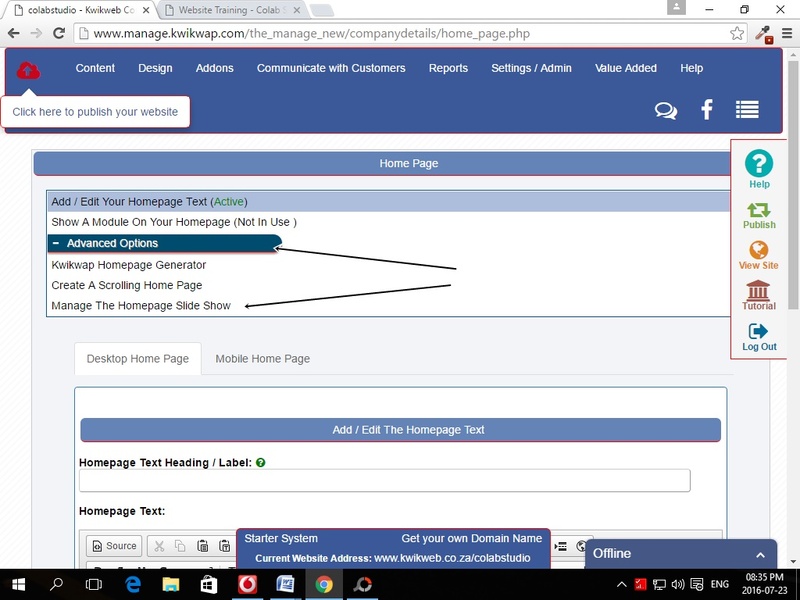 You will then need to click on publish (top left) of the management portal. To see your changes on your actual website you will need to refresh the specific page. Select a page you would like to change. We used the announcement page for this. The text does not need to move. We needed to use the annopuncement page to have the text above your home page slideshow. Did you have any trouble doing exercise 1-3? (Clicking around, Intro Video and Tutorial) Please specify. How much reliance on SEO / Being found by search engines are you placing on marketing your website?